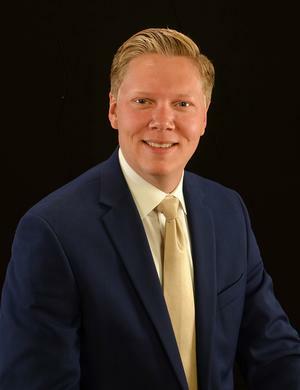 Chase Booms : Chase Agency, Inc.
Chase joined the Chase Agency in 2006 after graduating from the University of Akron with a Bachelor of Science from the College of Business Administration with a degree in Finance. During his time at the agency, he has played a vital role in growing the agency alongside his father, Charles. He is knowledgeable in all lines including personal insurance, life and health insurance, guaranteed investment products and specializes in Commercial Business Insurance. He serves on the Board of Directors of the local Home Builders Association (HBA). Chase, along with his wife Jessica are lifelong residents of the Mahoning Valley. They have two children, Harley and Lucy.